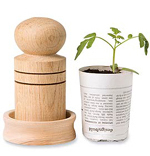 Potting Up Tomatoes is Now Easier! 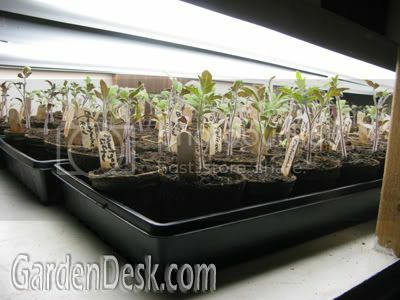 As you may remember, I am growing at least 35 different tomato varieties from seed this year. Instead of using soil blocks, I am doing it the old-fashioned way by starting in cell-packs and potting up to 4" peat pots. 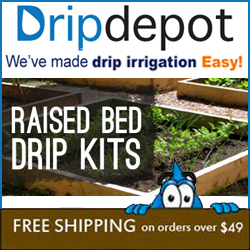 That means that I have to transplant about 150 tomato plants! 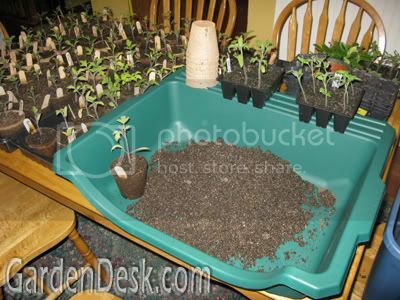 The Portable Potting Tray is very simple but works great. 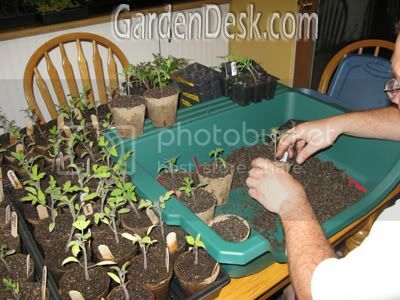 It is designed specifically to be used for potting seedlings, re-potting and transplanting and enables me to do my potting at the kitchen table without making a mess. Of course I still make a bit of a mess by taking over the entire table with tray after tray of plants. 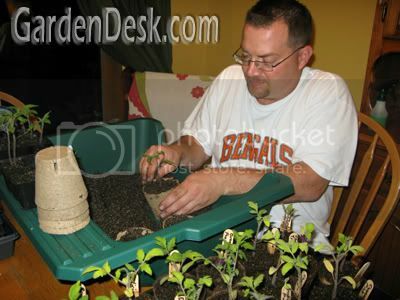 The Table-Top Gardener is comfortable to work with since the front is cut out for easy access and there is a sort-of shelf across the top. 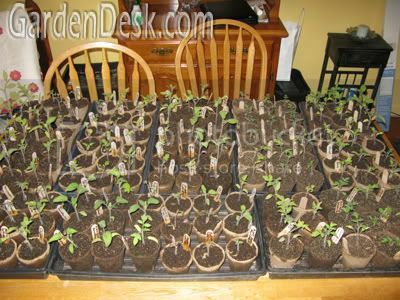 If I were only doing small amounts of re-potting, it would be easy to keep everything right in the bin, but the below picture is 150 tomato plants freshly potted. 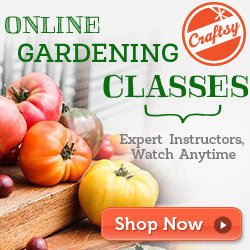 I've also been potting up lettuce, spinach, zucchini, and loads of cucumbers to battle those raccoons! My biggest problem now is that I'm running out of room under my lights! 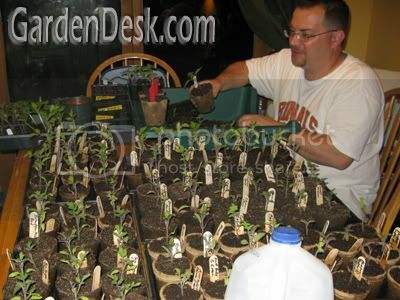 At least it is May now, so all of these plants will soon be re-located to the garden or the greenhouse. Happy May, and Happy Gardening!